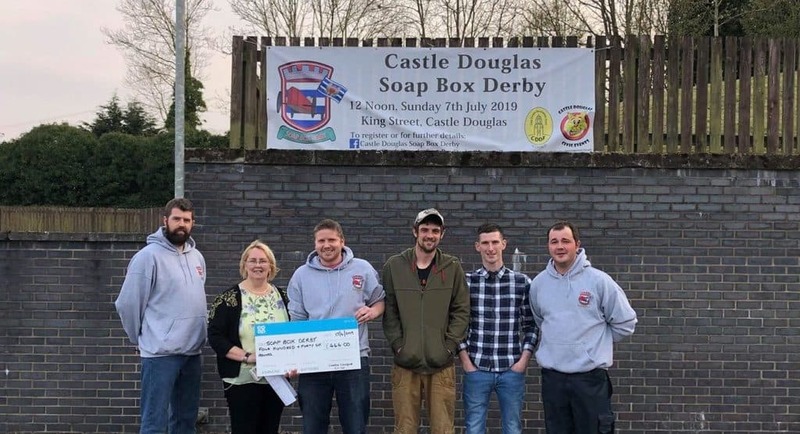 CASTLE DOUGLAS COOP Superstore has generously donated a substantial sum of money to help fund the exciting new ‘Soap Box Derby‘ to be held on the towns highstreet this summer. Fiona Muir from the Coop handed over a cheque for £446 to Soap Box Derby organisers Stuart Wallace , Ross Graham , James Brown , Callum McQueen and Matt McKerlie this evening Wednesday, April the 17th, 2019. The community event which will be included in the Castle Douglas Civic events programe this year on Sunday the 7th of July 2019 at 12.00 noon on King Street, needs to raise £5000 minumum to cover the expenses for the initial outlay just for the minimum requirements. 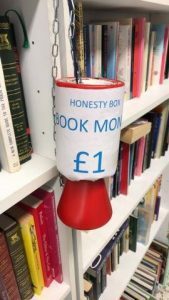 if you would like to donate, they have a just giving page, click HERE for more info.